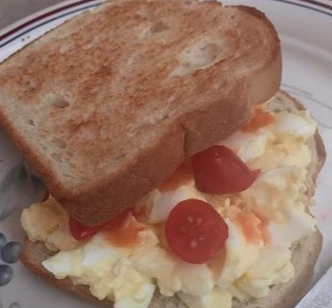 Whipped up some hard boiled eggs, mixed with Greek yogurt, sliced some grape tomatoes, and a few splashes of hot sauce served with toasted white bread. Wa. La. Clean, healthy, and filling. I like simple food and I like easy preparation for it. Bam.